Purpose. The Crop Pest Losses and Impact Assessment Signature Program of the Western IPM Center facilitates collection of real world data on the costs and impacts of insect, weed and disease pests of key crops in the West. These data are vital to the agricultural industry. Quantifiable measurements of pesticide use, costs, pests, and yield and quality losses due to pests are our most objective tools for assessing IPM impacts in agriculture. Our tools, developed for cotton, lettuce and melons and implemented in the low deserts of Arizona and Imperial Valley California, are available for modification to collect similar information for other crops in the West. Background. The Crop Pest Losses and Impact Assessment Working Group was established in 2003 with Western IPM Center funding to facilitate the collection of real world data on insect losses in key crops in the low deserts of Arizona and Imperial Valley California. In 2008, surveys were expanded to include other pest types (plant diseases, weeds) and their impact on crop yields, grower economics and pesticide use. Surveys are implemented through face-to-face workshops, and provide insights into pest manager decision-making and the intent behind specific pest management practices. Survey data are valuable for IPM evaluation and needs assessment, identification of stakeholder priorities, education, support of pesticide registration needs, and for responding to federal, regional, and local information requests. This program is now funded as a Signature Program of the Western IPM Center. Our goal is to expand the reach and implementation of the Crop Pest Losses and Impact Assessment program to other states and crops so that they may learn about IPM practices in use by growers and develop baseline data to evaluate IPM impacts over time. Commodities adopting this process are expected to benefit from the rich data produced. Funding. This program is funded as a Signature Program of the Western IPM Center. 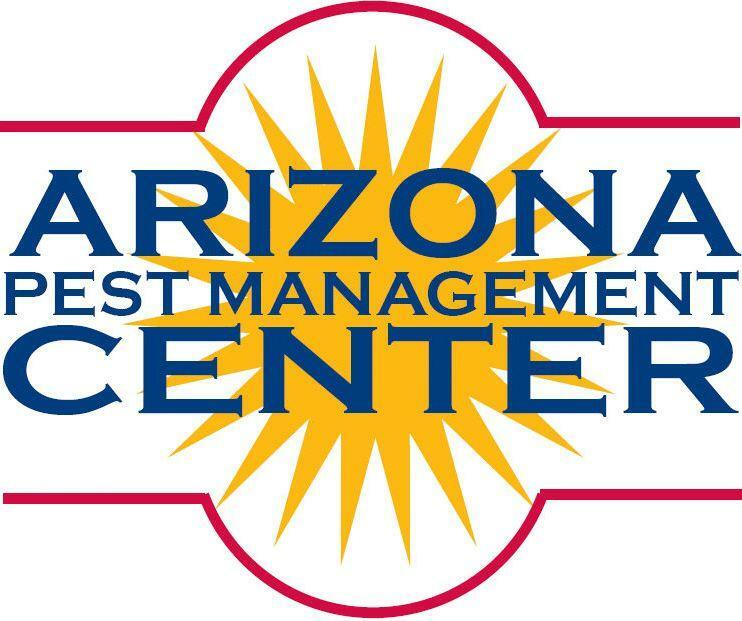 Our activities are leveraged by resources and in-kind supprot from the Arizona Pest Management Center and UA Cooperative Extension. Article. 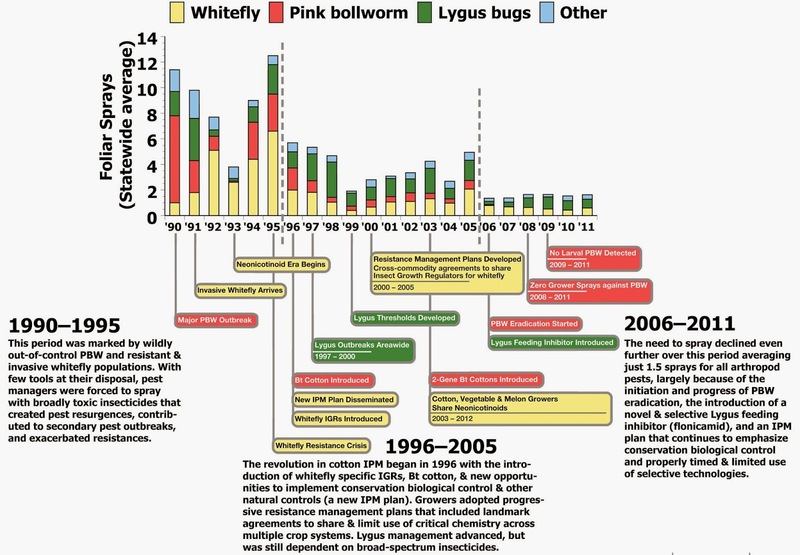 Pest-Loss Survey in Cotton Quantifies the Benefits IPM Brings to Growers by Steve Elliott, Western IPM Center. We can support start-up efforts for surveys in other states and commodities through the Western IPM Center Signature Program. We have expertise and can provide resources that can be customized to fit the needs of various commodity groups. Travel and other expenses associated with initiating a survey can be covered through this program. What is needed to succeed is commitment from a local contact with ties to stakeholders in the commodity of interest. Please contact us for more information. Cotton Pest Losses 2015 questionnaire pdf. For an editable version of this survey, please contact Peter Ellsworth 520-374-6225. PPT files availalbe upon request. Report: 2015 Insecticide Usage on Arizona Lettuce pdf John C. Palumbo. Cotton Pest Losses This website includes links to complete historical Arizona Cotton Insect Losses data (1979 to present) and the national cotton insect losses data and related information. The survey questionnaire, workshop presentations, and related publications are also available. Vegetable Pest Losses Data, publications and presentations related to head lettuce and melon insect losses are available on this site. This material is based upon work that is supported in part by the National Institute of Food and Agriculture, U.S. Department of Agriculture (USDA NIFA), through the Western Integrated Pest Management Center. Any opinions, findings, conclusions, or recommendations expressed in this publication are those of the authors and do not necessarily reflect the view of the U.S. Department of Agriculture.